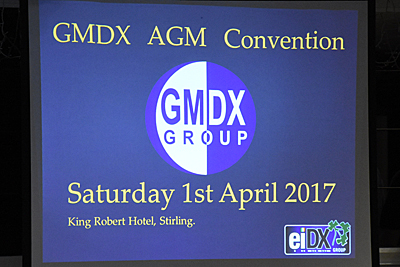 The 20th GM-DX Convention was on Saturday 1st April 2017 with over 100 day-time attendees and 80 for the GM-DX Dinner that evening. 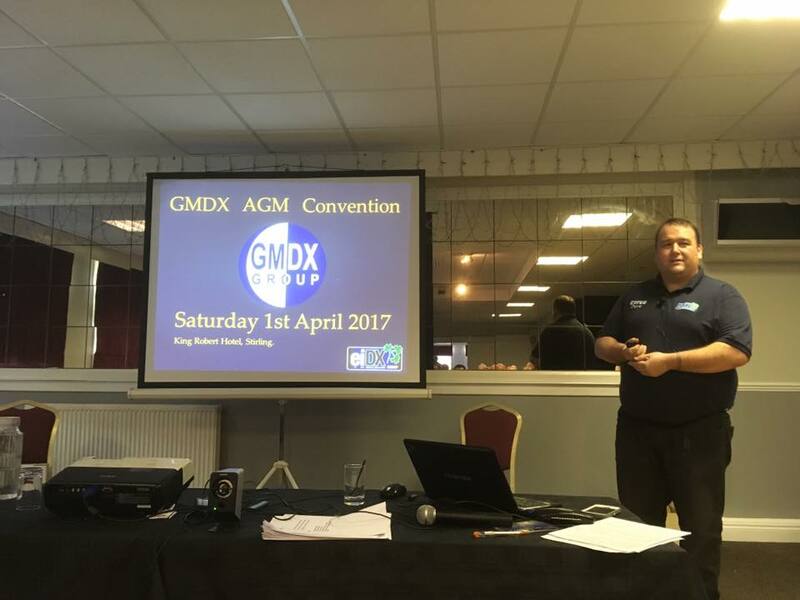 I always enjoy going to the GMDX convention as it has an even balance of Socialising along with very interesting Talks. 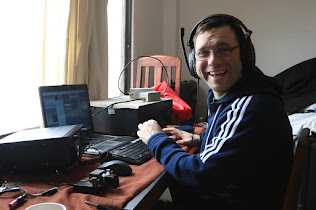 This year Olof G0CKV shared his adventures to 3B9HA Rodriguez Island and interesting insights into antenna selections for various contests done from there then Chris G3SVL followed with a talk where he shared his experience with the ZL7G Team on Chatham Island in which they received a GM-DX quaiche for their excellent Dx-pedition. After a short break John G3WGV did a great talk on SDR's with knobs on which left me thinking that the future is really bright for this hobby and it could get really interesting in another few years with SDR Technology. To finish off the Programme for the day the final talk was done by Dave EI9FBB on the EI DX Groups recent Dx-pedition to 9N7EI in Nepal. 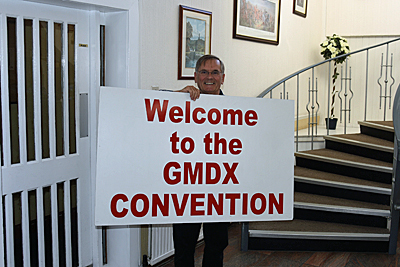 Rob GM3YTS welcomes visitors to the GM-DX Convention. 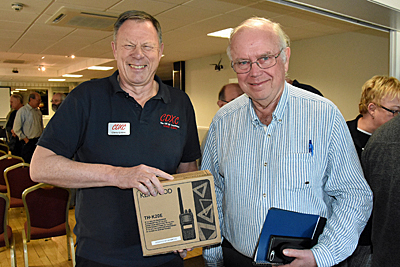 Chris G3SVL and Olof G0CKV with Chris's VHF raffle prize. John G3WGV demonstrates his "SDR with knobs on". Dave EI9FBB giving a Talk on 9N7EI from Nepal. 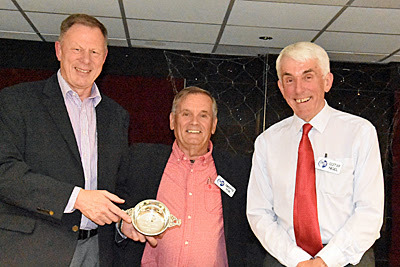 Chris G3SVL and Nigel G3TXF receive a GM-DX quaiche from Rob GM3YTS for the 2016 ZL7G Chatham Island DX-pedition. 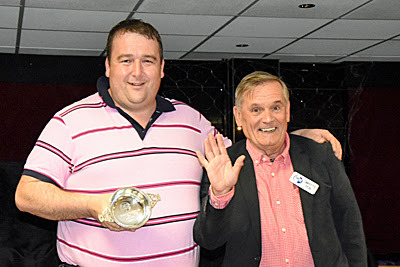 Dave EI9FBB receives GM-DX trophy quaiche from Rob GM3YTS for DX Excellence. It was fantastic event over all and it was really nice to meet up with new and familiar faces, there was even some mighty craic had at the GM-DX Dinner and Hotel Bar afterwards down into the small hours of the morning with some hilarious moments being shared throughout. Thanks to Nigel G3TXF for some excellent photos and I'm looking forward to seeing you all again next year at the GMDX Convention. The morning after the night before... Dave EI9FBB, Col MM0NDX and I decided to go visit the crew (Billy GM0OBX, Hugh GM0UYE, Jonathan MM0OKG and Steve 2M0EVS) up at the GM6NX club station and have the craic up there for a while. 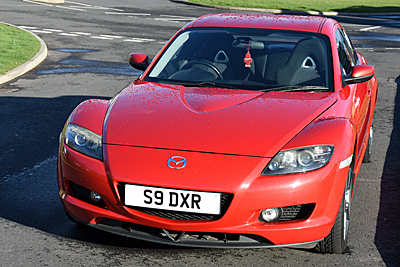 "S9 DXR" = DX-World automobile. Dave EI9FBB squeezing into "S9 DXR" before our adventures to GM6NX. Some QSL cards on the wall of Fame at GM6NX Club Station. New desk layout in the station, very comfortable layout I might add. 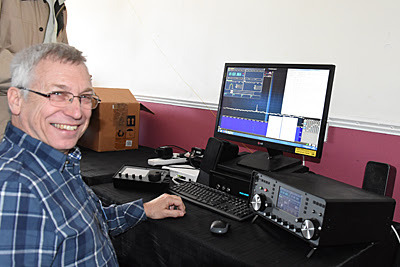 Hugh GM0UYE was having a lot of fun working Meteor scatter on 6M. 2ele Yagi on 40m and vertical for 2m/70cm. There was Bacon and Black Pudding Rolls being made and Iron Bru being drank it was also great to go back again to the club a year later and see all the recent shack upgrades that had being carried out and even watching Jonathan MM0OKG and Steve 2M0EVS dig out the base of a new tower for a new project at the station. This certainly is a fantastic club station with a real vibrant feel about it and certainly well worth a visit if your ever in the area. Thanks again to a great bunch up there I'm looking forward to going back again soon.